Probably the most predominant color, especially on the Big Island, is black because it is the newest island and has A Whole Lot of lava everywhere. However, what I find most fascinating about this fact is it enables the juxtaposition of other colors to really stand out. I think the natural beauty of Hawaii presents the purest light and color found nowhere else. 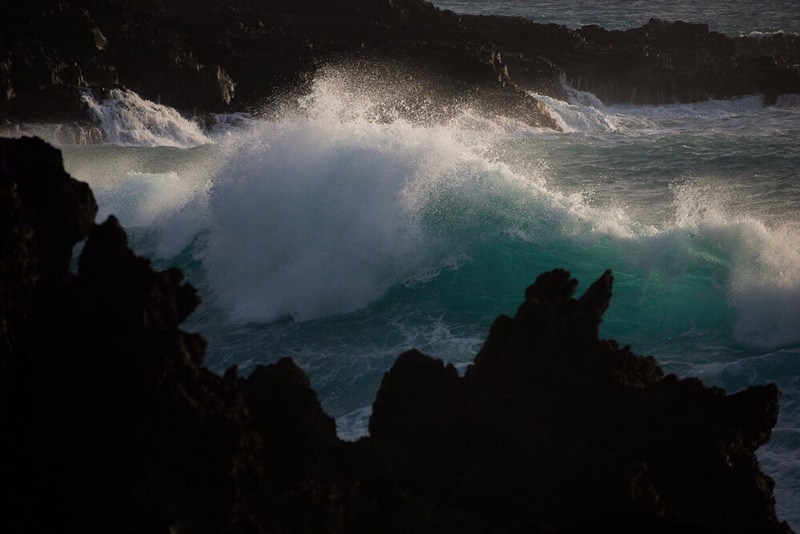 This photo was captured at sunset during the winter month of February when large ocean swells are common along the Kona coast. The backlight perfectly illuminates the color of the ocean.